Okay, this is easy. 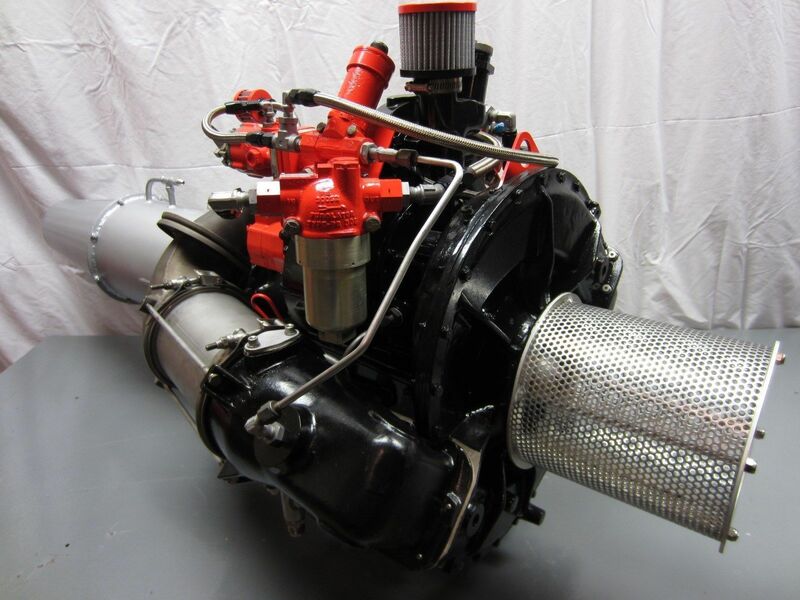 I've found a 60's era Boeing gas turbine engine on ebay and you need to find me the vehicle that it should go into. A Prius, a Pontiac Aztec, a Tesla, a Model A -- it really doesn't matter the price or cost or value of said vehicle -- you just need to justify your decision. 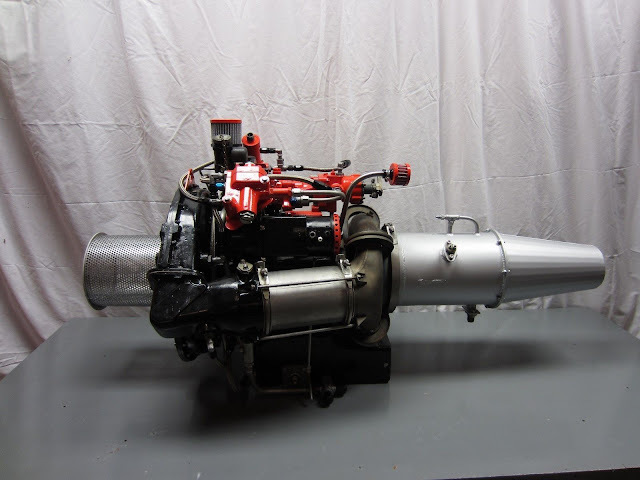 Find a good home for this Boeing 502-7 Gas Turbine Jet Engine here on eBay bidding for $4,500 with a few hours to go, located in Punta Gorda, FL. New Paint and Maintenance cd. L x H x W - 48" x 25" x 23"
What do you do with this? Comments below. The obvious choice: A Muntz Jet! The gas heater in my volkswagon leaves a bit to be desired. Prius, no question! To counter those pious planet huggers. Definitely a Prius! Perhaps with pinups painted on the front fenders or maybe some Rat Fink graphics. The obvious choice would be an Oldsmobile Rocket 88. I have a 70's Le Car that needs an engine. Not sure how it would work with the transmission, but I am willing to try! Speed Racer's Mach 5 was the first thing that came to my mind! Holy Smokes, isn't that from the TV show Starusaki de Hatchu?! This one gets my vote, too. But hey, this is not a democracy. My companions got some information about the vehicle thinking about his new vehicle, since he purchased another vehicle for his family and realize he is stressed over their vehicle care since he doesn't have any desire to be to put their family in risk at the season of going via vehicle, I enlightened him concerning the mobile mechanic Sacramento, CA the expert vehicle detailer that he will give you the best proposal for your vehicle care. In past occasions just VIPs and government officials could bear to go around in limousines, however at this point the pattern has changed. The Best Limo Service in Indy! They are presently autotrader cars uk made with more secure devices and bodies to keep the general population inside them sheltered as well as those keep running over by them.